The best way to digest a large Greek lunch, when a siesta is out of the question, is, according to Cosmo, with a good walk. And the only way to explore the fascinating area that sprawls around the Acropolis, is according to any Athenian, on foot. 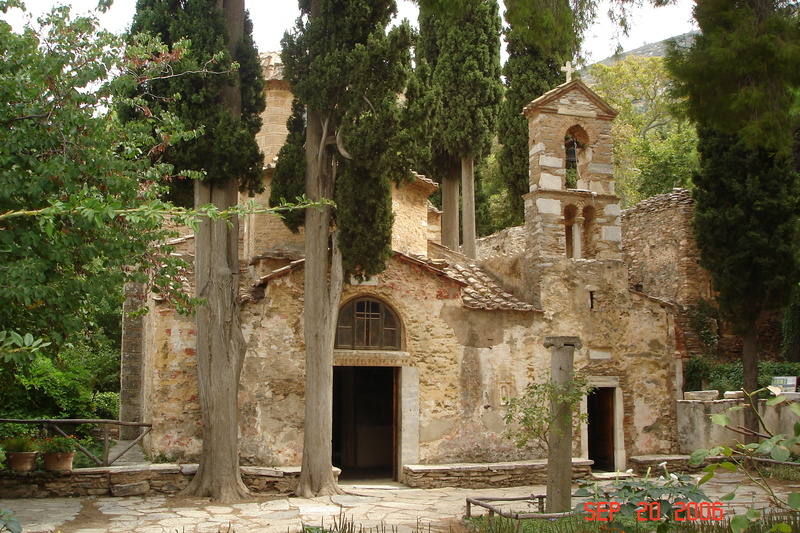 Close by and to the west of Monasteraki Square lies quaint, charming, picture-postcard Psiri. Zorba-esque music flows from the old taverna which line the streets. There’s an aroma of roasting lamb, warm bread, honey and strong coffee. Young Greek gods, in the guise of waiters, smile from the terraces of restaurants and cafes. Nonchalant locals and shutter snapping tourists mill in the streets. On the other side of Monasteraki is Plaka, “the neighbourhood of the Olympian gods”. Hailed as the Hellenic Montmartre, it shares the bohemian ambiance and picturesque appearance of its Parisian counterpart. Close packed houses press into the steep, narrow streets. Ancient ruins rise from the dry earth in fenced-off excavations. In shady squares local characters sit smoking in the sun and old men quarrel over card games. There are tiny shops selling souvenirs, gold, leather, furs and pottery, interspersed with neighbourhood grocers, fruit stalls, bakers and cake shops. There is a bath house. Olive trees and vines overhang bleached stone walls. Miniature gardens are crammed with lush green leafy vegetables and fat tomatoes. Every evening just before sunset a soft purple light spreads slowly up Mount Hymettus and settles over Athens like violet crown. We watched it fade to indigo from a taverna in a back street of Plaka, high on the rocky slope of the Acropolis. A young singer crooned Demis Roussos’ My Friend the Wind”. Our wonderful day out with Cosmo had come to a close. He had taken us into his Athens, introduced us to its capricious gods, its mighty kings and its great heroes, as well its ticket and postcard-sellers, shopkeepers, chefs, baristas and waiters. He had shown us its famous places and its secret corners, shared its smells, tastes, textures and sounds. He had told us its stories. It was a sad, goodbye, with a firm, long grasping of hands, kisses on both cheeks, promises on Cosmos side to visit us down under and on ours to show him our Antipodes, to come back soon to Athens and to drop in on his sister-in-law, the best Greek cook in Australia, at her home in Mount Waverley, Melbourne. The rosemary and bay leaves, crumbling now, are pressed between the pages of scribbled notes for this story in my diary, along with Cosmo’s card and the address of his sister in law. 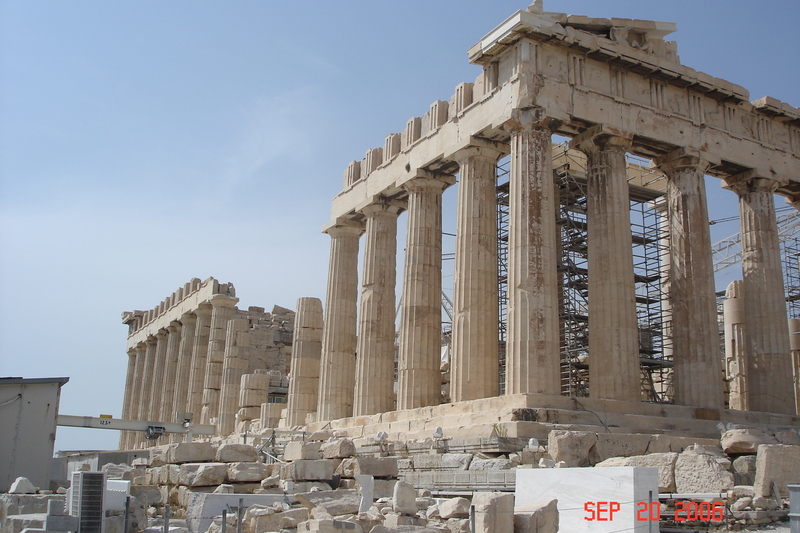 Our tour of Athens cost 100 euros each. Our day out with Cosmo was priceless. To find your Cosmo, ask the concierge or the doorman at your hotel – he’s sure to have an uncle, a cousin, a brother – Athens is like that. In our morning with Cosmo, we had steeped ourselves in the world of the ancients. It was time now to step back into modern Athens. Back down in the city Cosmo stopped, waving off blaring horns and impassioned appeals, in Syntagma Square. Here, in 1843, the people of Greece received their first Constitution from the reigning monarch King Otto, hence the name, Syntagma which means Constitution. 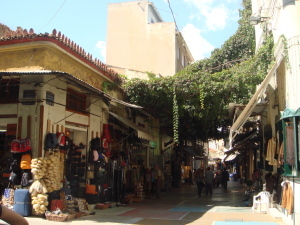 Today the busy square, with its shops, cafes, restaurants, shops and offices, is the centre of modern, commercial Athens. Just across the road is the Greek House of Parliament. Completed in 1838, the grand neo-classical building was originally the palace of the first Greek kings. In front lies the tomb of the unknown soldier, watched over by the Presidential Guards or Evzones. 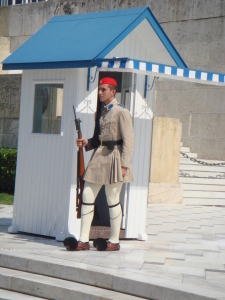 Cosmo had timed our visit to catch the spectacular changing of the guards, when the new watch marches in and the old watch marches out, with great pomp and ceremony, in their deep blue jackets and pristine pleated skirts, on stiff high-thrusting white-stockinged legs. Alongside Parliament, the National Gardens are a lush stretch of nature with lawns, trees, shrubs and flowers dubbed by Athenians “the green lung”. 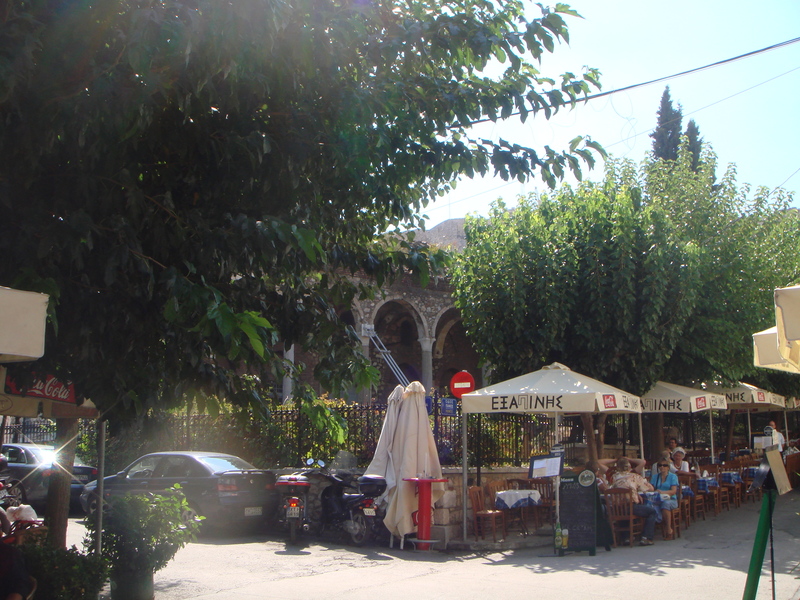 The cool shady paths and the glint of a distant pond beckoned but a stroll in the park was not on Cosmo’s itinerary and we swung away again, deeper into downtown Athens.